Peru – Lima and the Amazon | And They're Off. . .
After a whirlwind tour of Lima, we caught a very early morning flight to Iquitos. (We loved the short time we spent in Lima and would like to return). 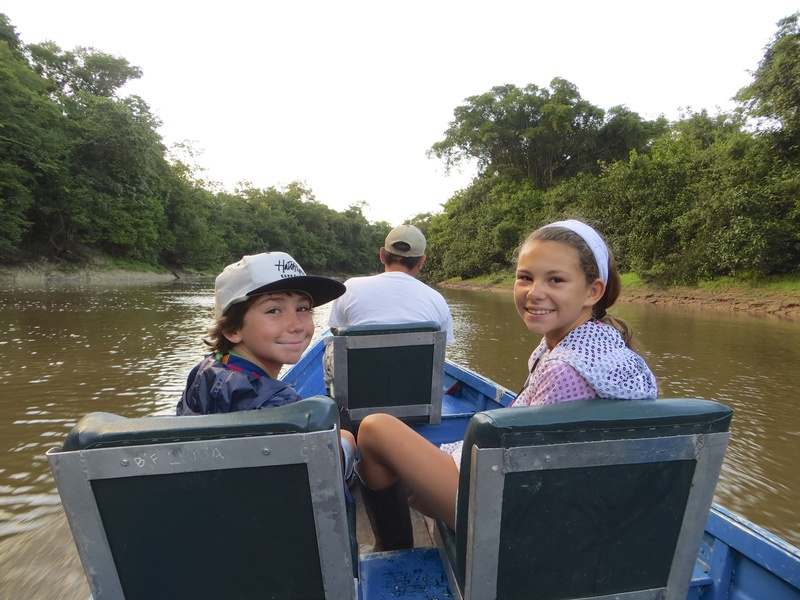 After dropping a few bags at the Amazonia Expeditions office, we were on a boat and heading down the Amazon. Several hours later, we arrived at the Tahuayo River Lodge. We have been here for 4 nights and will leave this morning to travel deeper into the jungle to the Amazon Research Center where we will spend another several nights before leaving for Cuzco and Machu Picchu. Our connection speeds here don’t allow for us to upload many pictures to the blog yet, but we will when we are able to. In the past few days we have boated and trekked from sun-up to sun-down (and sometimes at night) and seen more animals than we could have reasonably hoped to. These include: parrots, macaws, hawks, egrets, hoatzin birds (and about 500 other birds), capuchin monkeys, woolly monkeys, squirrel monkeys, pygmy marmosets, caiman, electric eels, pink river dolphin, bats, tarantulas, poison dart frogs, etc. etc. etc. This kids are loving it. Last night we visited a nearby village and the kids joined in an intense local volleyball game. Over the next few days Lee is determined to find an anaconda and he and I plan to camp out one night with our guide, Christian. Peru has exceeded our expectations – with much more to come. This entry was posted in Uncategorized and tagged Amazon, Peru. Bookmark the permalink.